Emma Watson is once again the poster girl for Burberry's latest ad campaign. 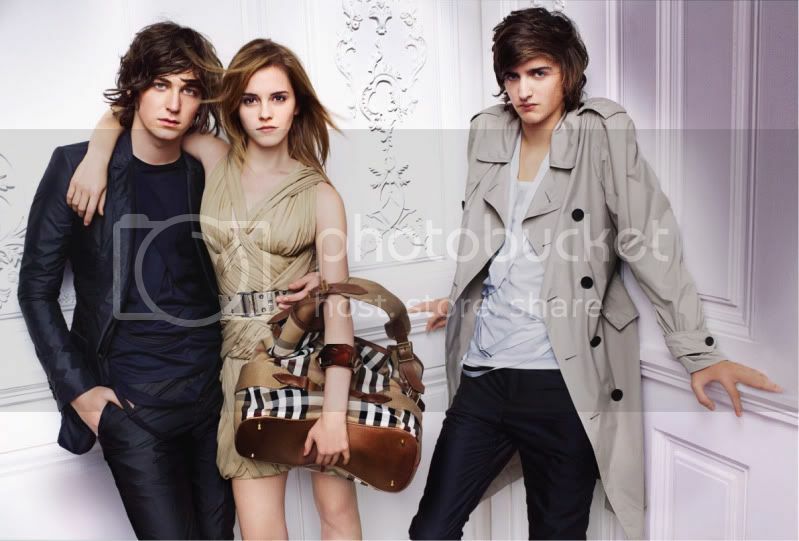 Shot by Mario Testino, the Spring/Summer 2010 ad campaign features Emma alongside George Craig, Matt Gilmour, Max Hurd as well as Emma's own brother Alex Watson (below left & last pic). Seen some images of the latest Fall collection from Burberry, looks like a pretty fab collection. I'm so far behind on fashion week. Barely even started looking at images of the latest collections yet, and it's already at Milan? or is it already Paris?